In this Sunday’s Gospel (John 14:6), the Lord tells the apostle Thomas I am the way, and the truth, and the life. In a previous article, we have already considered the manner in which Christ is each of these three: He is the Way as man, but he is the Truth and the Life as God. As man, he is the instrument and means to the divinity. As God, he is the divine truth and divine life toward which all men are drawn. Thus, in his single divine person, Jesus is both the way and the destination. What is striking to us here is that Jesus uses only one “I am”, ἐγώ εἰμι. He does not say, “I am the way, and I am the truth and the life.” This is what we would expect, if it were true that there were two personalities or two “I”s in Christ. But he does not differentiate between a divine and a human ego, rather he simply says I am the way, and the truth, and the life. We have here one person speaking in one personality of himself in his two natures. The single divine person (and personality) identifies with both his human and divine natures. This passage would lend quite strongly to the view that there is only one personality in Christ’s single divine person. Whether we speak of this personality as a divine personality or as a divine-human personality (personally, I would prefer “divine personality”, since it is the personality of a divine person who existed before the assumption of a human nature), we at least have good reason to say that there is not an additional human personality: There is only one personality and Jesus is only one “I”. What if the Lord has no human personality? We might question whether this point is of any importance. Does it really make a difference if the Lord has no human personality in addition to his divine personality? I would argue that it makes a great difference. If the Lord has no human personality (as I have argued), then whatsoever Christ does must unequivocally be attributed to the action of a divine person, the person of the Eternal Word. If Jesus’ sole personality is that of the Son, then we are led to affirm that it was truly and really the person of the Word who was born, who lived, who suffered, who died, who lay dead in a tomb, who descended, who rose again and who now sits at the Father’s right hand. If Jesus has no human personality, we realize all the more clearly that God has truly died in the person of the Son (through his human nature) – there is no additional divine personality which is somehow separated from this Jesus who died for our salvation. The union of the divine and human natures in Christ is such that it was truly the Lord God himself who came among us – the divine “I” of the Word of God is the very same “I” which has told us, Behold I am with you all days, even to the consummation of the world (Matthew 28:20). That said, I'm sick of having "theologians" trot out drivel the Church long since corrected for the gratification of their egos. I have to teach all eight of my kids that this ordained priest or that theologian at a Catholic college really doesn't believe in the Jesus who we love. Thank you, this was a terrific article. One thing that I would like to add, though, is that I believe this heresy of Christ having two persons/personalities (called Nestorianism, after the heretic you mentioned) has indeed been condemned by the Church, at the Council of Chalcedon. Thanks too for including St. Cyril. He expresses these mysteries so beautifully; one of my favorite Fathers. God bless! I think that you are threading on dangerous territory when you say that Jesus had only one personality and that such a personality was only divine but not human. Our personality is a reflection of our will and vice-versa. If I follow your logic it appears to me that we could end up saying that Jesus had only divine will but not a human will. I think that trying to split hairs on His personality will lead to the concept that his human nature was not really His nature. "We admit that the Church has not yet pronounced on this issue..."
@Webpoppy8, I agree with you that it is sad that theologians are so often seeking their own glory rather than cooperating with the shepherds (i.e. the bishops). @Ian K., I also think that speaking of two personalities would probably lead to heresy (and come from heresy), but the Church has not yet pronounced on this matter. You are correct that Nestorianism (that Christ is two persons) has been condemned; but the modern discussion of personalities is not quite so clear. Still, I do agree that it is at least suspect and dangerous to think of Christ as having two personalities. First, please leave some kind of tag/id/pseudonym at the end of your comment, if you want to continue this discussion. Second, Personality is not a reflection of the will ... if we want to connect it with any faculty of the soul, it would probably be the intellect; but even this, I would reject. Personality is connected more with the whole person, with the subject. Since there is only one person in Christ and only one subject of action, thought, and will; it seems to me that we should say there is only one personality. This personality is in the two natures. Finally, I'm very sorry that you think the discussion is simply a matter of "splitting hairs" ... the Fathers and Councils of the Church think that our faith in the person of Christ is very important and trying to understand that faith is no useless exercise in word-play. In any case, the final words of your comment prove my point: "...will lead to the concept that his human nature is not really His nature." If there is only one HE and one HIS, such that the divine nature is HIS and the human nature is HIS and they are both of ONE ... then it is clear that there is only one "I" or EGO and only one personality. Thank you for your clarification on your definition of personality. My thinking of personality is a bit more detached from the concept of person, and probably it is due to linguistic differences. I completely agree with you when you present it that way. I apologize for not using and tags but because of the blog settings it looks like that I can post as Anonymous. Thank you for entering into the discussion! Truly, I did not to speak to harshly or critically in my response to your previous comment. Also, if you would like, feel free to write in your native language (I am presuming it is Italian). I will generally respond in English, but I can read Italian and Spanish just fine (and I can get by with French; but I cannot do anything with Portuguese). But doesn't Christ have two personalities, one as Father and one as Son. Even his disciples were mystified at him saying that 'he and the Father are one'. That's the beauty of the Godhead, and that is why we have life to the fullest in Christ. Bob, What you have written is pretty explicitly a heresy called "Sabelianism" or "Modalism" ... I am sure you did not intend this, but it is what you have written. The Father and the Son are one nature (God), but they are two persons (Father and Son). Hence, it is certainly incorrect to think that the Christ has one personality as Father and one as Son -- because he is not the Father. They are not one person, but one nature. And the Father shares everything with the Son, excepting that the Son IS NOT the Father. So, no, Christ does not have two personalities -- one as Son and one as Father. For they are two persons, and one God. Thank you for this article. The Doctrine of the Incarnation has always been a difficult concept for me to grasp and one that I contemplate often. I think that St. Gregory of Nyssa stated in a way that seems to get at it: "Remaining what he was, he assumed what he was not". One being: two natures. That is how I understand it. Thank you. The belief in the "two personalities" of Christ is Nestorian Heresy, as far as I have read (James Likourdis, I think).It causes all sorts of weird speculations and seems to be quite widespread. The Councils and early fathers spoke of an ontological personality whereas some modern theologians are speaking of a psychological personality. The two are not in conflict. The psychological personality is part of the human nature; the ontological personality is divine. Please us a id/tag/pseudonym at the end of your comment. The modern idea of a psychological personality would still tend to lead to the idea of a human "I" and a divine "I" ... but this is not the general sense of the Gospel or of the Fathers. Though he has two intellects and two wills, he still seems to have only one "I" and one "ego". Moreover, the simple fact is that the Councils and early Fathers have never spoken of "an ontological personality", they never spoke of personality at all [so, I'm not sure to what texts you are referring] ... they simply spoke about the one person of Christ. In the middle ages, it was clarified that there is only one subject and only one suppositum. This makes me think that, even in the modern sense of personality, we ought to say that there is only one personality in Christ and only one "I". Cardinal Walter Kasper in Jesus the Christ speaks of the human personality of Jesus and we are allowed to study the psychology of Jesus according to Sempiternus Rex. As I said in the article ... the Church has not yet pronounced on this issue. I have simply given the reasons why I think it would be better to speak of one personality in Christ and one "I". If you think there are two "I"s and two personalities, how do you reconcile verses like the one I have pointed to above? : "I am the way" (according to his humanity) "and the truth and the life" (according to his divinity). Here we have Christ speaking in one "I" of himself as God (the Truth and Life) and as Man (the Way). Also, "hypostasis" has never ever been translated as "personality" ... I have no idea where you are getting that from. It has been received as "person", not "personality" ... the whole idea of "personality" is a modern concept and is quite absent from the writings of the Fathers of the Church. Finally, "Sempiternus Rex Christus" of Pius XII makes no mention of "personality" ... you are correct, we are allowed to study the psychology of Jesus. I have done just that in the article ... and I have argued that there is only one divine personality in Christ, and only one divine "I". You cannot claim I am ignoring psychology, just because you disagree with me. I am not sure what personality means for the moderns.Clearly, there is only one person in Christ, but there are two natures. This means that Christ has a human intellect and a human will, and the actions can proceed from them. of course, such actions will be in conformity with the divine will, but they are distinct. We must be careful that in denying two persons in Christ, we do not deny what rightly pertains to His human nature.There are many passages in the Gospels that show us this difference. Kudos, Father. That was excellent. I have to write that I am a bit tired of hearing Jesus spoken about as having been subject to the same temptations as we were when it comes to, say, sexual temptations. He clearly was not but I think a source of the confusion is when men think that the Human Nature of the Divine Person is the same as our Human Nature - a fallen one. But, Jesus did not taken on a fallen Human Nature. I think of Jesus taking on a Human Nature like Adam's prior to the Fall. You are correct in that hypostasis is translated as person as the ancients never treated of personality. The question of a human personality is developed from modern ideas of self-consciousness and a human "I" probably as a second, subordinate Human I. Only a cardinal signs himself as Walter Cardinal Kasper. Otherwise, it is correct to refer to him as Cardinal Kasper. Reg, thank you for clearing up what I said as being a Sebeliansim heresy. I'll need to look deeper into what I have been believing. Reginaldus, could you please provide some links for me to read up on the Christian understanding of the words "person" and "personality". These concepts have left me scratching my head for quite some time now. To me a "personality" is another word to describe a character trait (i.e. Type A, Type B personalities.) But, what does it even mean to have a human personality as opposed to a divine one? You are correct that, in common speech, "personality" is often used to refer to character traits (e.g. "He has a good personality" or "a disagreeable personality"). This is not the way that theologians use the word in relation to Christ. The question is whether Christ had a human "I", a human "subjectivity" (in addition to his divine "I"). Sometimes, the word "personality" is also related to ideas of consciousness ... and this becomes extremely complex when related to Christ. You mentioned in your response to Anonymous at 11:50 am that, "Since there is only one person in Christ and only one subject of action, thought, and will." I'm not entirely sure you intend to claim that Christ only has one will, but such a claim would run counter to Constantinople III, which declared that Christ has two wills, one human and one divine. This does not necessarily take away from your argument that Christ has one 'personality.' The debate, as I understand it to have taken place in those centuries, hinged on whether the will was an attribute of person or of nature. The orthodox position regards the will as an attribute of nature, and so Christ has two wills without needing to have two 'persons.' Perhaps these modern theologians that you mention in your original post are falling into the trap of attributing the will to personhood/personality? You are correct, there most certainly are two wills in Christ (since there are two natures). When I said that there is only one person and one subject of action, of thought and of will -- I do not intend that there is only one will, but only one subject who wills. Whether we speak of the divine will or the human will, there is still only one subject -- Jesus Christ. So, yes, two wills; but only one person and one subject (and I think also only one personality, though the issue has not yet been solved entirely). Reginaldus, I have one question concerning your May 22 reply to me. Is the Father a person like Christ in form, or is He the almighty, the One that is all present, and all knowing who resides in all heavenly and earthly creatures? Reginaldus, sorry I forgot my name. All three persons of the Trinity are present in all creation and are all knowing. What distinguishes the Father from the Son is not their relation to creation, but their relation to each other: The Father generates the Son, the Son is begotten of the Father. This alone makes the Father to be the Father and the Son to be the Son. Once we recognize that the persons of the Father and the Son are distinct (that the Father is not the Son and the Son is not the Father), we can then understand that the Son alone became incarnate and suffered. Still, all three persons (Father, Son and Holy Spirit) created the universe and are present in all creation and know all creation. So, yes, the Father is a person, the Son is a person, and the Holy Spirit is a person -- and they are persons in a much fuller and more meaningful way than any created persons (angles or men) are persons. Reginaldus, I wish you had titled your presentation How Is Jesus One Being Yet True God and True Man or some such title, and I would have no problem. You asked are there two “I’s” in Jesus, thus opening a new dimension to the discussion. You hardly mentioned it except to say in passing that some “modern(ist)” (modernist is a derogatory term) theologians held such a theory. Certainly Cardinal Walter Kasper is not a “modernist” nor was the renowned theologian Emile Mersch who wrote in his Theology of the Mystical Body “According as we understand the word in one or other of these senses, we may say that one or several consciousnesses, one or several egos, are found in Christ. Since Christ is but one person, there is in Him only one consciousness, one ego, one subject that is the point of departure of all His acts and is the ultimate terminus of attribution. Consequently there is only one who is conscious in Christ. But since this one who is conscious has two natures and two intellects, He has also two powers of saying "I," and in this sense He has a twofold consciousness. Each of these powers forms in Him a notion, or the equivalent of a notion, representing the "I," and thus Christ has two ways of expressing "I" or two expressions of consciousness.” Thus we can speak of two personalities in Jesus, the psychological personality and the ontological personality (the great Thomistic commentator Garrigou-Lagrange, for one, used this latter term). 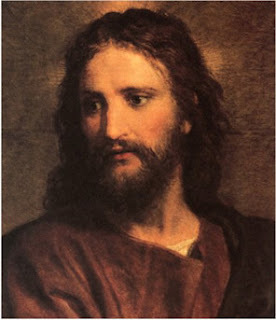 “On the basis of a modern, relational concept of personality, Kasper holds that Jesus is both a human and a divine person, that is, a human person whose transcendental openness is definitively determined by his oneness with the person of the divine Logos.” In a review of Kasper’s book Jesus the Christ by Avery Dulles in 1977. Are both cardinals modernists? First, I did not say that all theologians who speak of two personalities are modernists, I only said that many modernists speak of two personalities ... Do you really think that I would openly accuse a cardinal of the Church of being a modernist? I have not stated that my position is dogma (in fact, I have expressly stated that it is still open to speculation). All I have done is to show that Christ uses one "I" to speak of himself in his divine nature and his human nature (cf John 14:6). You have not yet commented on the Scriptures ... I think that is a problem. I am surprised by this post of yours, since I know that you are also referring to our previous debate regarding Christ's two personalities. I can remember that I was the first one who pointed this out. Nonetheless, i am thankful that you made this as a separate topic. Sorry father, I became busy with my first book. It’s about ethics or moral philosophy. We are not yet finished with the topic on stealing. I intend to make a reply to your last comment. I'll go back to that topic later, hopefully. Father, when I read your article, i can easily perceive your insufficiency in terms of your knowledge regarding this topic. That would not mean that I am saying that I am more knowledgeable than you regarding this topic at this point of time. Maybe I can say that four to five years ago. The reason is that I have forgotten too much already of what I have read regarding theology particularly on this topic. Going back to your article. These are the things that I wish to point out. When theologians speak of the two personalities of Christ, they are not referring to two persons. The theological concept of person which was used in scholastic terminologies is quite different from the modern concept of personality in psychology. If you can remember, when I used the term personality, I qualified it as phenomenological and psychological. If you are familiar with the psychoanalytic theory of personality development which has its origin from the empiricism of David Hume, you will recognize the difference. Hence, even if theologians speak of two personalities, they are not denying the traditional dogma of the single being of Christ. Christ is only one being. He has only one act of being (esse). Hence, Christ is one person but has two personalities. In fact, strictly speaking, Christ has only one personality (a human personality) because the divine personality cannot even be considered a personality in psychological terms. If the divine personality of Christ can be considered as a personality the way we use it to Christ' human personality, then that would make the Trinity in three personalities. But the Trinity is not in three personalities. They are three persons but not three personalities. If we accept that the Trinity are three personalities then we fall into the ancient heresy of Trinitarianism which many modern Christian sects hold. Because of the lack of philosophical speculations among protestant churches especially, the evangelicals, they think (those who are trinitarian Christians) that the Trinity are three persons = personalities. Their Trinitarian understanding is actually a heresy condemned by the Church long time ago, namely, Trinitarianism. The interpreted the concept of three persons along the modern understanding of the concept of personality. Hence, i find it wrong that you identify the concept person with personality. I don’t agree that when theologians speak of two personalities in Christ, they mean two persons. Because when these same theologians speak of three persons in the Trinity, they don't speak of three personalities in the Trinity. The Trinity is only one being; there is only one God. There is only one divine essence, divinity, divine substance. From these, there is only one divine will and divine intellect. The Trinity, though in three persons, have no distinct will and intellect possessed by each of the three. The Trinity is numerically one God, one Will, and one Intellect. Hence, two personalities in Christ does not mean two persons since the two concepts are different, just as three persons in the Trinity does not mean three personalities. We cannot escape the inference that Christ has a human personality or self (“I”) or ego, if we mean by personality as understood in psychological terms. The reason for this is because Christ has a human subjectivity or human consciousness. In my book (Introduction to Moral Philosophy: An Anthropology-based Ethics), which is coming next week, I have argued that the phenomenon of consciousness and personality are not identical to the ontological person. Rather, they are just accidental manifestation of the true ontological self of the human being. In some other cases, a human person or human being may have not developed a personality or consciousness (like the so called anencephalic babies), but the individual is fully a human person ontologically hence must never be violated. Hence, there is a difference between the concept personality and person. In the same way, Christ have a human personality, subjectivity, and or consciousness, but he is one divine person. Human consciousness follows from the human intellect and human will of Christ. Take note that when the scholastic speak of human will of Christ, they were referring to this will as both the rational will and the appetitive will. As a rational will, this human will of Christ has possessed a human autonomy or freedom. As an appetitive will, this will has motions directed to the good objectified by the human intellect of Christ and proposed to the will to be pursued. This demonstrates that Christ has a human subjectivity. There is inner personal dynamism in the human nature of Christ – his human nature is not merely an instrument to be directed by His Divine person. Christ has human freedom. And this freedom, as already said above is the freedom of the rational will and not only of the appetitive will. As such, it falls on his intellect. This means again an autonomous human consciousness. Christ’s soul is a free soul. Regarding attribution of Christ’ actions to the Logos, I can’t see any problem even if we admit a human consciousness or subjectivity in Christ. In the garden of Gethsemane, Christ said, “Father, not my will but yours be done”. He was referring to his human will, and the Father’s will is in fact his own divine will also. Christ, the Father, and the Holy Spirit have only numerically one will. Finally, father, I would like to conclude (have to correct the misleading “two personalities”) that Christ has only one personality, the human personality. And God has only one identical personality, the single personality of the Divine Trinity. If we are allowed to speak of Christ as having two personalities, then to be more accurate, the first personality is his human personality, and the second is the Divine personality which is also the personality of the Father and the HS. The three Divine Persons have only one identical personality. For the record, your last three comments are longer than my original post. I am surprised that you are so easily able to perceive my "insufficiency in terms of knowledge about this topic." What I find most interesting about your comments is that, although you have written more than I wrote in the whole article, you have scarcely had the opportunity to mention Sacred Scripture. Even the one time you do mention the Bible (the Agony in the Garden), you offer hardly any commentary at all and fail to show how the passage is relevant to the discussion of personality. My article is a Scriptural Commentary on John 14:6 -- Christ uses one "I", one "ego", and one "consciousness" to speak of himself according to both his divinity and his humanity. You have failed to grasp this very simple point -- Jesus says "I", he does not say "We" ... hence, I have argued that there is only one "I" and one "ego" in Christ -- thus, it seems to me that we ought to say that Christ has only one "personality"
This blog and pondering this kind of theology is new for me so forgive me if I am asking questions you've answered elsewhere. I believe you said that Christ is one person with 2 natures and God is three persons with 1 nature and the three persons of the Trinity share everything together. a) wouldn't God the Father and God the Holy Spirit also have to be incarnate since They share the same 1 nature with God the Son (and the person of the Son has 2 inseparable natures)? b) can Christ have one nature as God that He shares with the Father and the Holy Spirit (and the 3 share everything together) but have a second nature, as a human, that is not shared? Wouldn't that split Christ into 2 persons, each with a different nature? Can Christ hold His human incarnate nature separate from His shared nature with the Father and HS? Perhaps I am misunderstanding what nature means. The human nature is united to the Son of God not via his divine nature, but via his divine person. The union is hypostatic or in the person of the Word. Therefore, since the humanity is joined through the person and not through the nature, it is possible for only one of the persons to become incarnate. "Person" is who someone is, while "nature" is what they are. Who is Jesus? The Word -- a divine person. What is Jesus? God (by his divine nature) and Man (by his human nature). Who became incarnate? The Word/Son. Did the Father become incarnate? No. Did God become incarnate? Yes. In the person of the Son. In the same vein of your last answer, perhaps you can clarify something for me. I have heard certain apologists say that when we receive Holy Communion, that since we receive Jesus Christ, who is God, that we also receive the Father and the Holy Spirit as well. Is that a gross oversimplification or is it just wrong? It is a bit of an oversimplicification since the Eucharist is not the Father or the Spirit, but the Son. Still, sanctifying grace (which is given sacramentally through Communion) is the indwelling of the whole Trinity. So, we most certainly do receive the whole Trinity, including the Father and the Holy Spirit. However, the Eucharist itself is Christ -- for this reason we specify that we receive Jesus in the Eucharist.